The company's Apprenticeship Programme was successfully launched in 2006 and provides people aged 16-24 with the opportunity to train with the Goodwood-based manufacturer of the world's best-selling super-luxury cars. The apprenticeships last for up to four years and combine on-the-job training with studying for nationally recognised qualifications. The programme has been designed in conjunction with the Learning Skills Council (LSC) and several local colleges. The selection process is designed to guarantee recruitment of the very best candidates who could have the opportunity to further grow with the company following a successful apprenticeship period. The programme was also recently extended to the business areas and the first business apprentices recruited. "I am delighted to announce the start of recruitment for this year's Apprenticeship Programme. 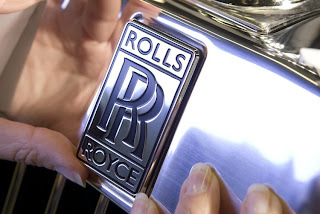 Our new apprentices will join a British luxury manufacturing success story and will be ideally positioned to take advantage of the unique opportunities available at Rolls-Royce," said Torsten Muller-Otvos, CEO of Rolls-Royce Motor Cars. In addition to the Apprenticeship Programme, more than 60 men and women were employed with the company in 2013 on industrial placements ranging in duration from six to 12 months; further positions are likely to be available next year. The company also runs a successful graduate programme, with new positions made available each year.